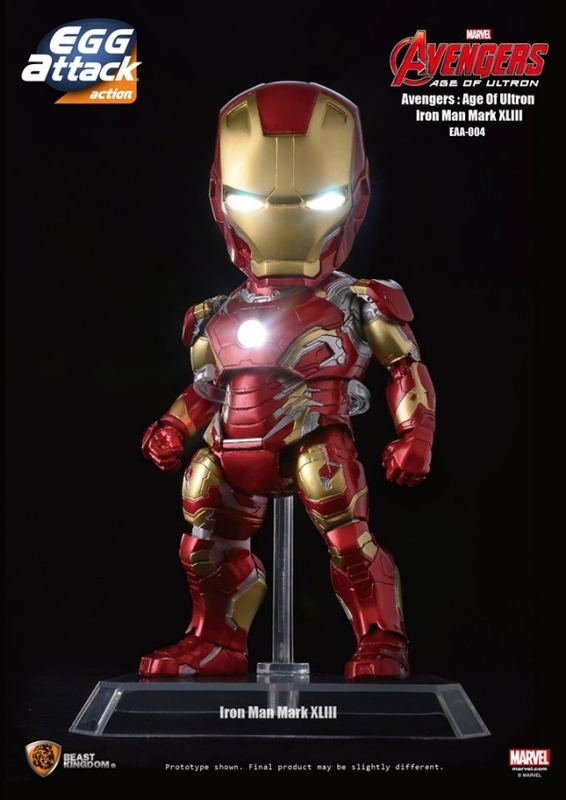 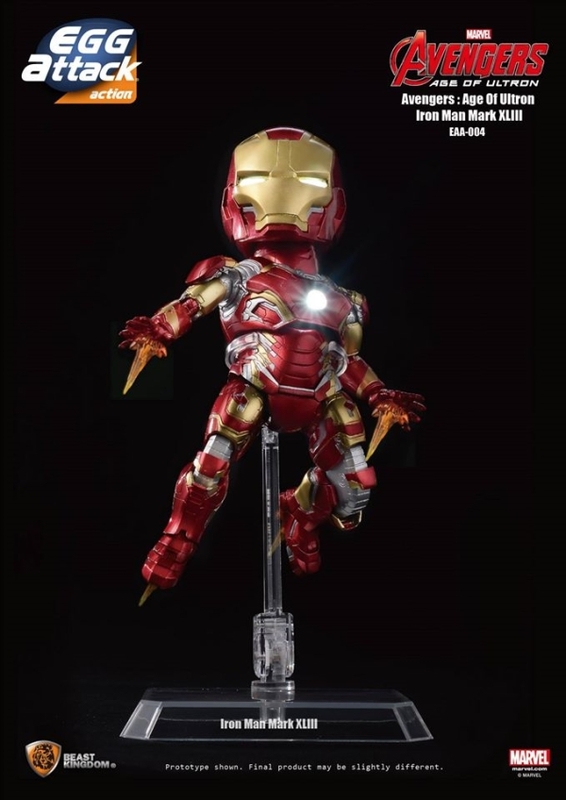 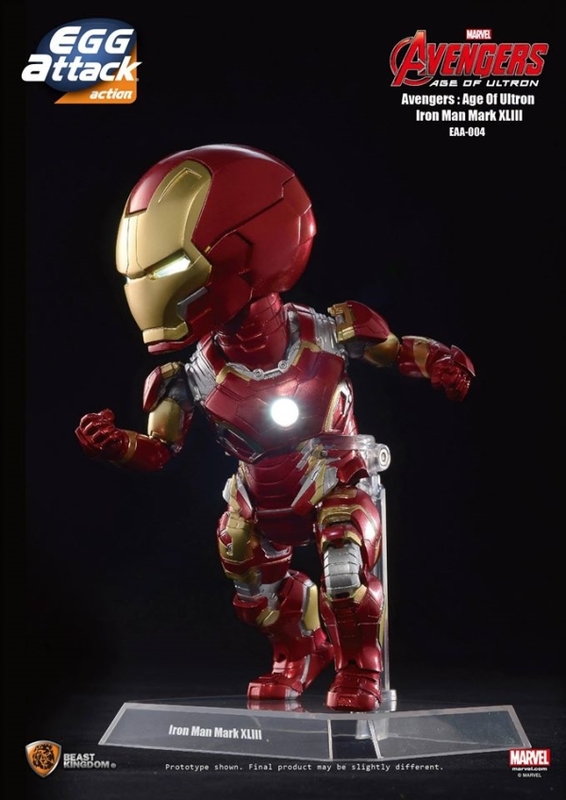 Beast Kingdom Toys is proud to present the Egg Attack Action Iron Man Mark 43 movable figurine, from Avengers 2: Age of Ultron. 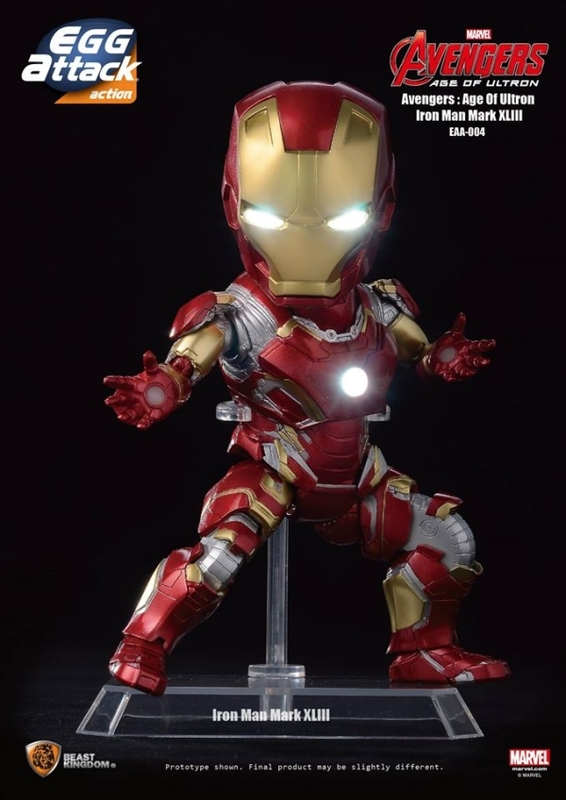 With 30 points of articulations and full-body engraving, the Iron Man’s facial, armor, back flaps, and chest arc reactor are made to perfectly resemble details represented in the movie. 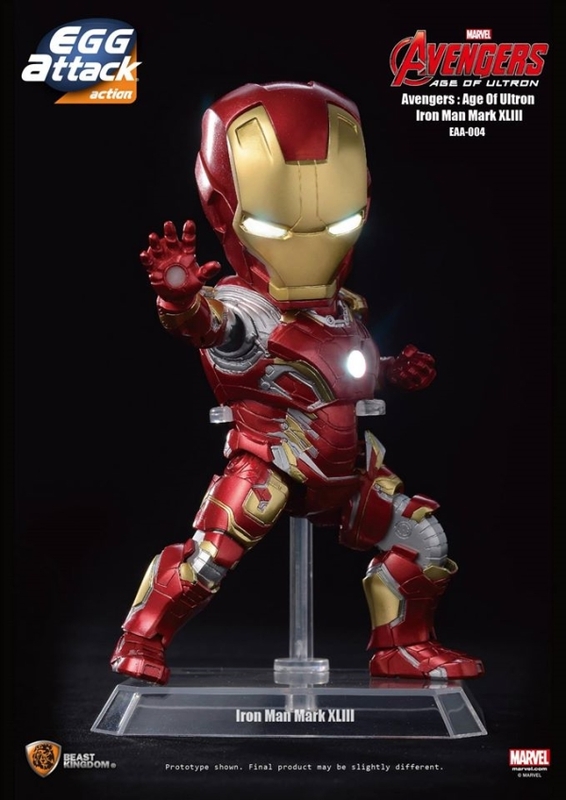 Metallic shine paint alongside LED lighting device embedded within the eyes and chest arc reactor flawlessly recreates Iron Man Mark 43. 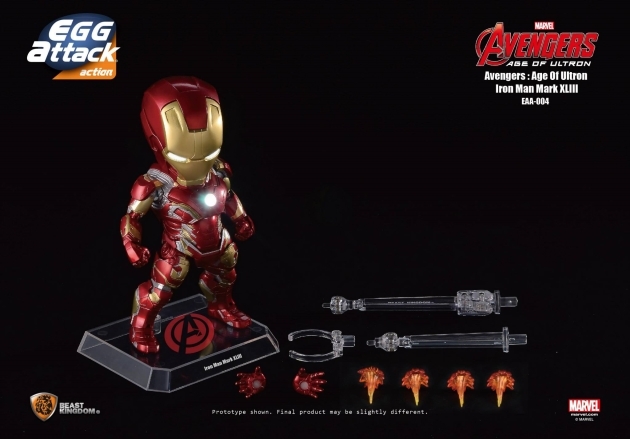 Each Egg Attack Action Mark 43 comes with bonus parts including the stand, and interchangeable palms and thruster accessories, letting collectors display at their will. 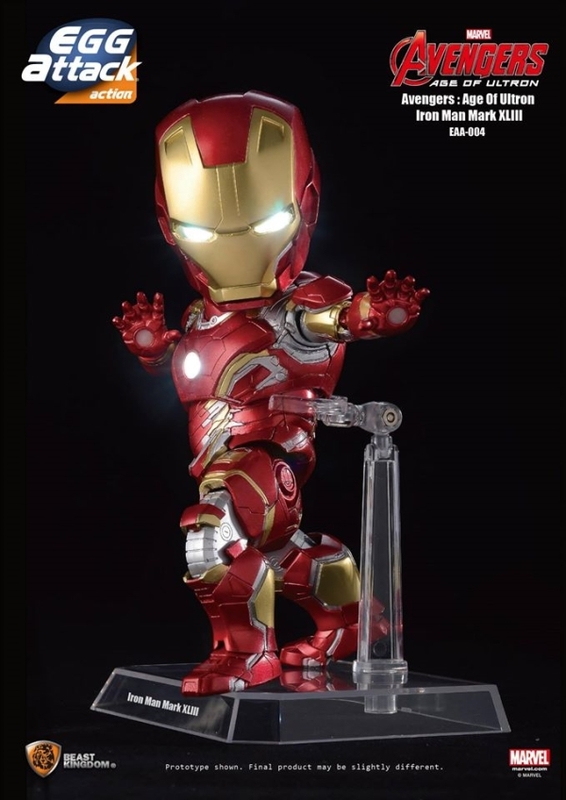 Coming November 2015 for $149.99.